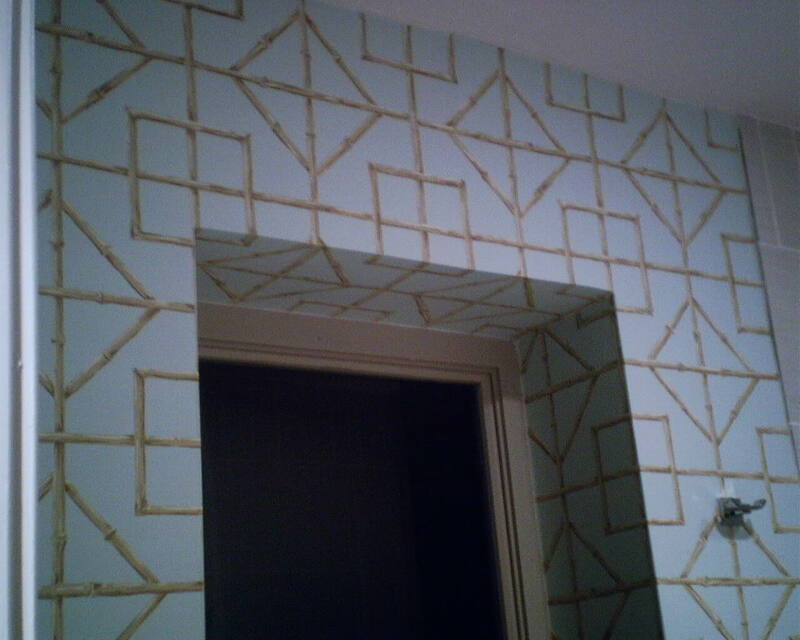 When a wallpaper pattern has a rhythmic element like this trellis design, I like to center the pattern on an “important” wall – over the vanity, behind the headboard, etc. In this case, the only visually important element in the room was the window, so I centered the pattern there. 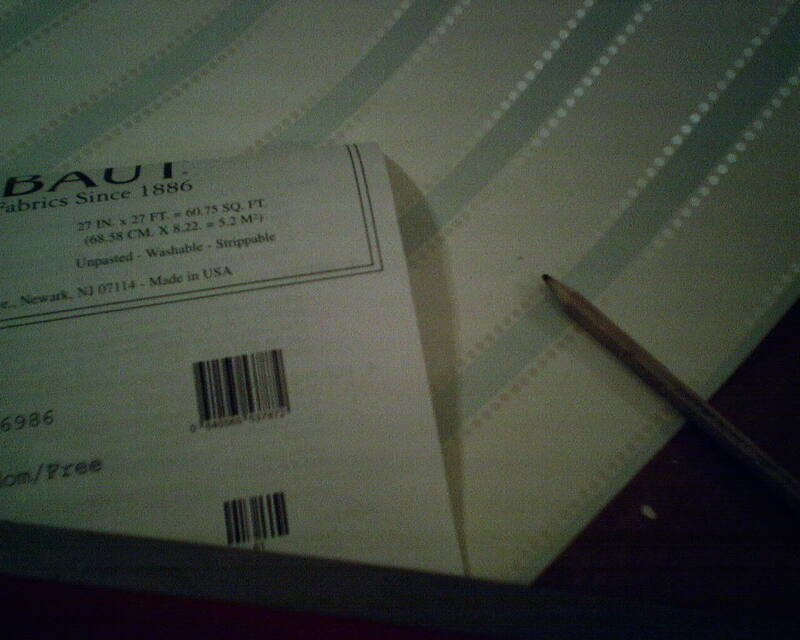 Two out of nine rolls of this Thibaut brand wallpaper had small specks half way through the roll. With such a light paper, I could not risk having the dark speck show through, so had to discard several feet of paper. Another reminder of why you should always buy a little more than the bare minimum. 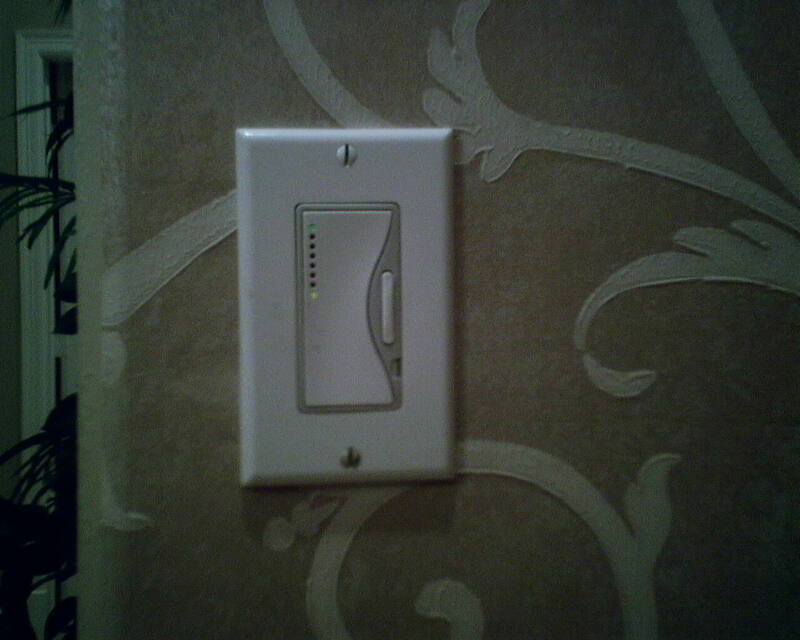 I have an Internet paperhanger friend who insists that all the slots in the switchplate screws must be vertical. This seems more than a little obsessive, to me. But today I tried it, and, I have to admit, it looks good. With the slots vertical, they parallel the vertical grooves in the outlet. 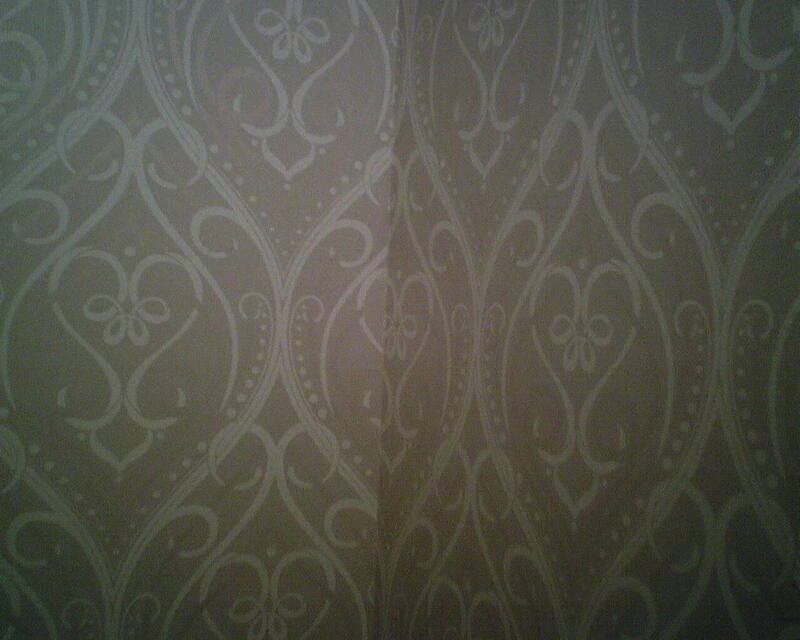 This wallpaper pattern is the same as is used on the Sherlock Holmes television series. I hung this in a teenaged girl’s bathroom in a beautifully restored 1903 home in the Montrose neighborhood of Houston. 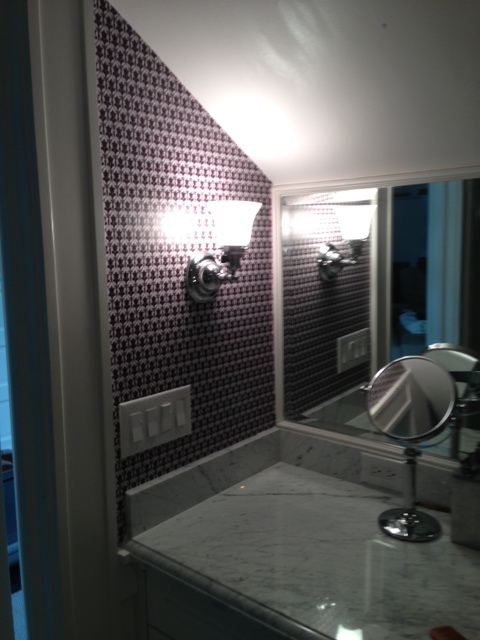 The bathroom was in the former attic, now converted to a game room … you will notice that the ceiling is not level, plus there are lots of angled spaces, so the pattern looks a little crooked in some areas. 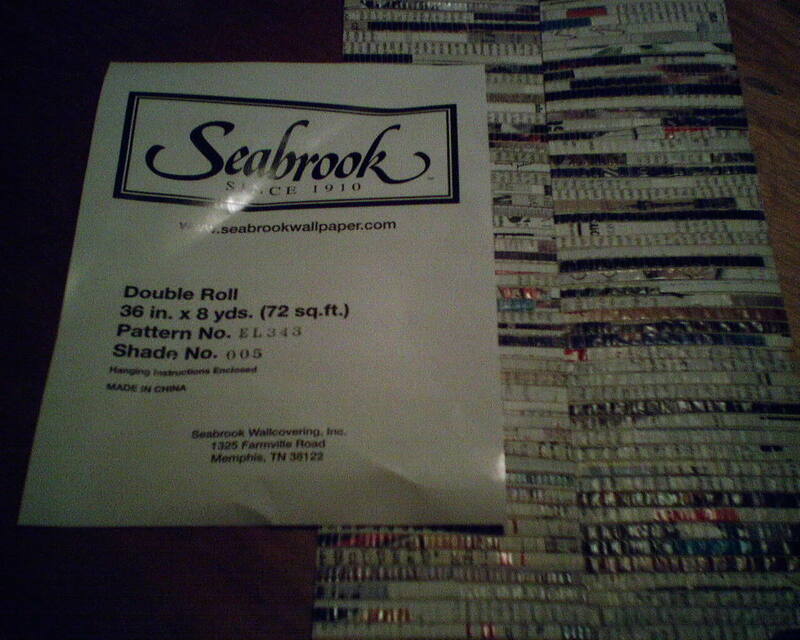 This paper was made by a company called Spoonflower. You can buy their ready-made wallpapers, or you can have them custom-make something just for you. 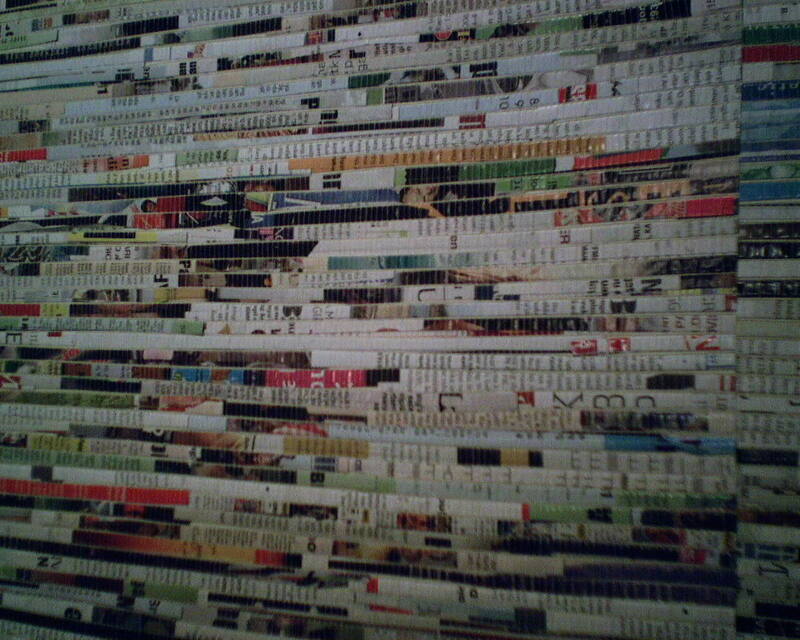 At first, I thought the paper would be cheap and difficult to work with, as are the products from many “boutique” wallpaper manufacturers. But I was pleasantly surprised to find that I really liked the quality and ease of installation of this paper. They only weird thing is that they specify that you overlap the seams, and that results in a ridge along each seam. 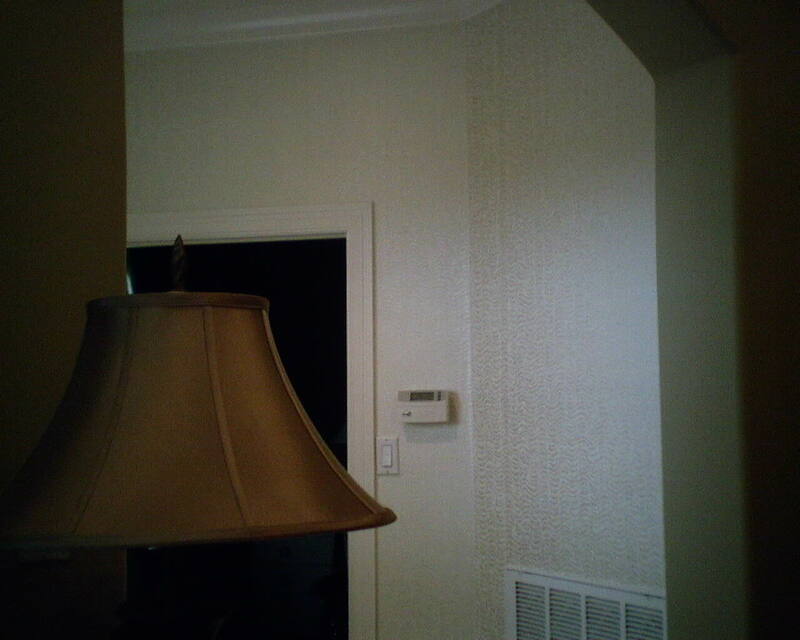 But the paper is thin, and the pattern is busy, plus the lighting in the room is dim, so this was not noticeable. I hope I can direct more people buy their wallpaper from this company. 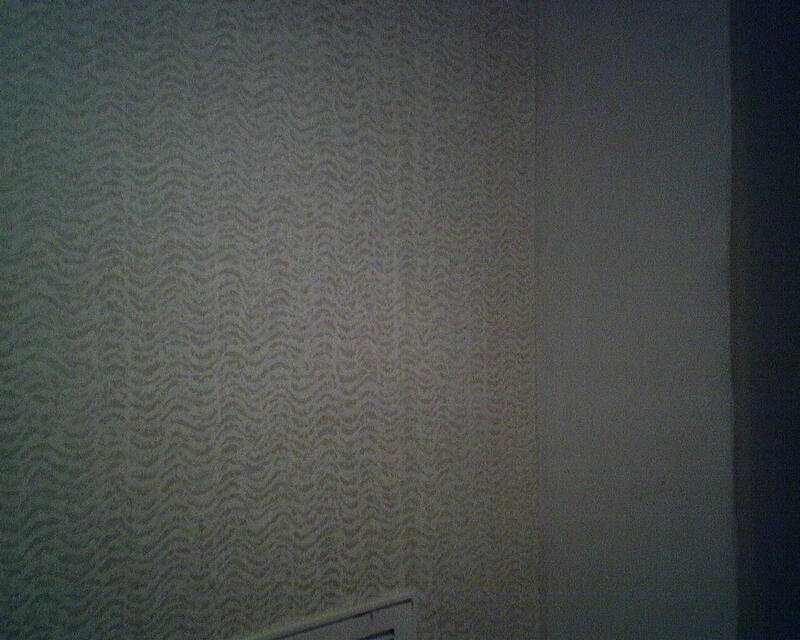 The pattern on the last corner of a room will never match. Think about it. Unless the width of the paper and the width of the walls are derivatives of one another and play out precisely, there is no possible way that the pattern can match up perfectly in the last corner. That’s why we try to hide that last corner in the least conspicuous place, like above and/or behind a door. 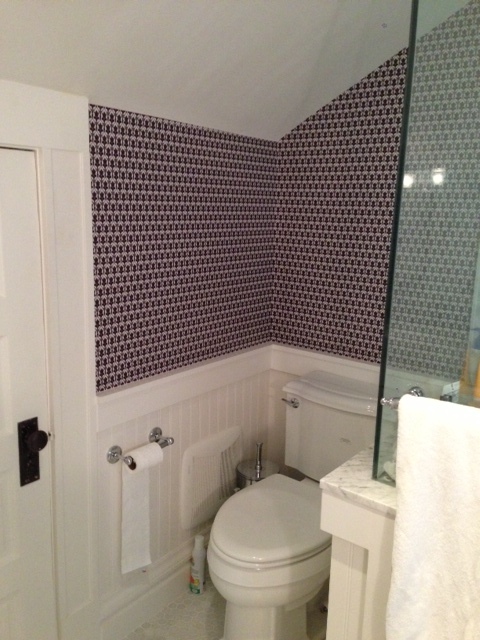 In this powder room, because of where the door was located, I was forced to put the mis-match in a full-length corner, and you can see that the pattern did not match perfectly. But with this busy pattern, you really don’t notice it much. After hanging two walls, I stopped, because I thought the seams looked bad. The client agreed. Click the photos to see a larger picture. Along the entire length of every seam, there is a darker discoloration. 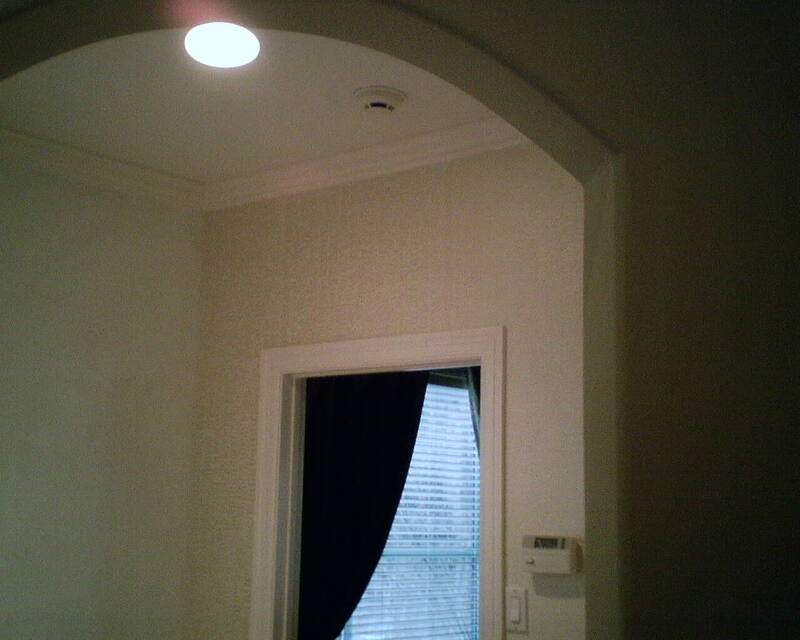 Look to the right of the thermostat, two seams above the door frame, and one above the corner of the A/C return. This is disappointing, and frustrating, and, well, infuriating. 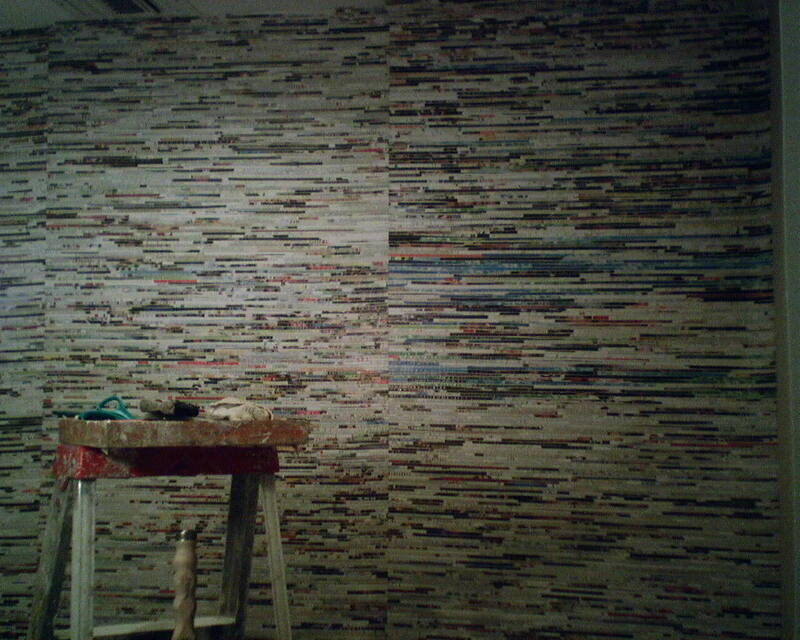 The client did not get her home decorated, and I will have to return at another date to strip off and rehang the room. This is obviously a manufacturing defect. 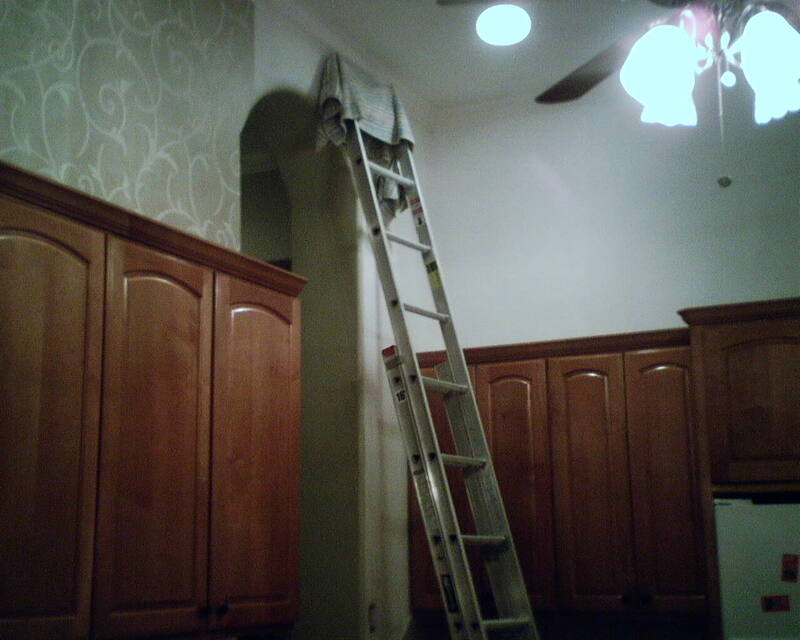 However, I know the old song and dance – the homeowner, the designer, the wallpaper sales person, and I, the installer, will advise the manufacturer of this problem. Then the manufacturer will insist that it’s MY fault. They always do. Or they’ll claim that “No one else has ever reported a problem.” We will have to argue and negotiate and hope they will refund the client’s money. And you can bet that they will not pay ME for the extra day to rehang the room. 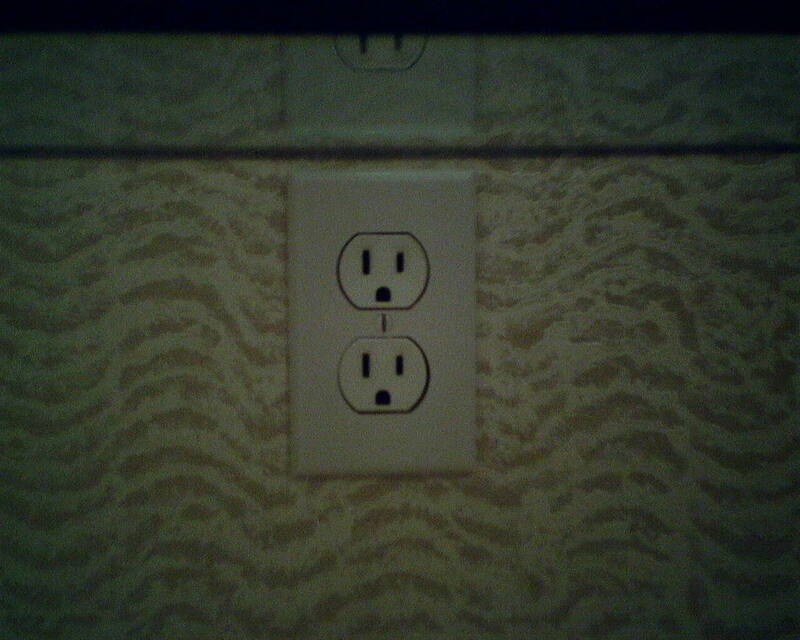 In this case, I urged the designer and homeowner to choose another wallpaper pattern. I am confident that this is a manufacturing defect, and that even if they were to obtain a different run (wallpaper rolls that are printed at the same time), the dark discoloration would still appear. So their best option is to select something entirely different. Interestingly, I hung the kitchen in a swirly pattern from the same book, and it was just fine. 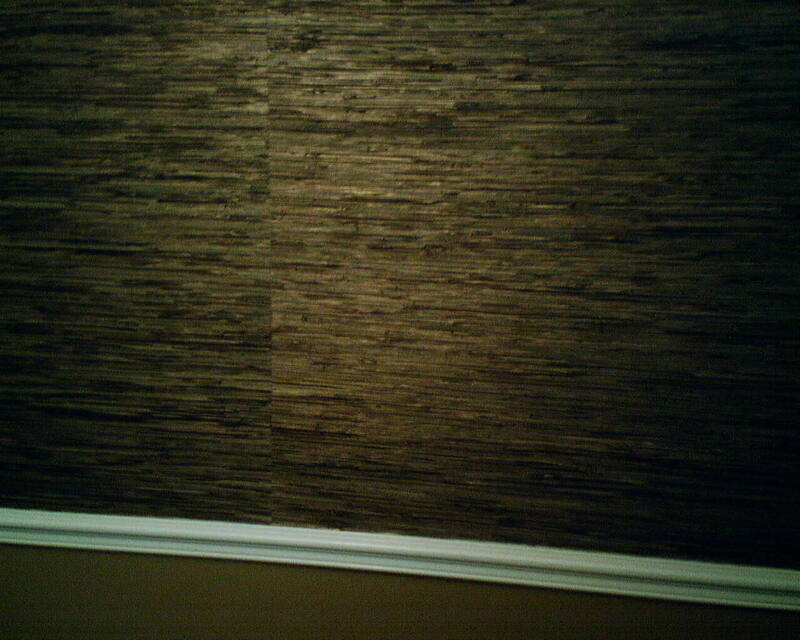 This is a textured wallpaper pattern on a non-woven backing, by Ronald Redding for York Wallcoverings, pattern #RC3501. Please Buy the Amount of Wallpaper I Tell You to Buy! 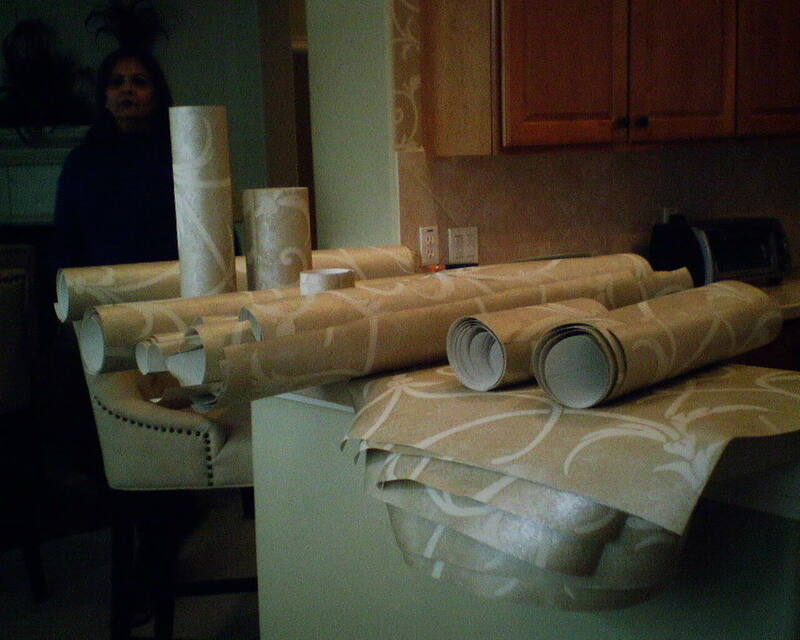 I am only half-way finished hanging this large kitchen, and look at all the wallpaper that has to be discarded, due to matching the pattern or cutting around doors and windows. 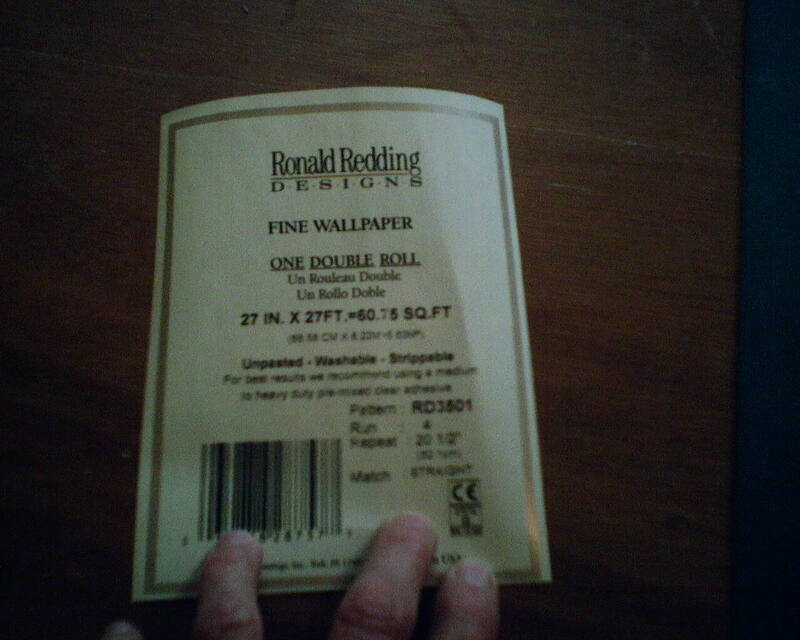 This is important to keep in mind, when measuring for and ordering your wallpaper. You cannot use every square inch, and sometimes there is significant waste of unusable pieces. It’s not uncommon for prospective clients to get out their tape measures and calculators, and then insist that they need less paper than I tell them to buy. It’s important to have a professional (me!) measure accurately, and to factor in the pattern repeat, elements in the room, and other contributors to waste. I rarely have to pull out my extension ladder, but for this kitchen, with it’s super high ceilings, it was a must. You are currently browsing the Wallpaperlady's Blog blog archives for January, 2014.